It was back in the early 80s when I was inspired by YMO and started playing the synthesizer. Not only did the sound appealed to me, but the fact that synthesizer was all one would need to make a tune blew my mind away completely; except for one minor problem - you couldn't make a vocal track with the synthesizer. Then, I bought the Korg Vocoder VC10. Its unique robotic tone was again very fascinating, but more importantly, I loved the fact that I was able to record a vocal track without actually singing and so I started covering tunes from artists like YMO and Earth, Wind and Fire. Yes, I unfortunately wasn't much of a singer. It was around then that I started listening to ZAPP, but this was back in the days without internet or cell phones. I didn't think to doubt that ZAPP wasn't using the vocoder to make tracks, but nothing I did made it even close to what I heard through the speakers. It was a lot later on when I found out through an interview article of Keyboardist, Youichirou Kakizaki, that ZAPP's vocals were performed through what was called a talkbox. I quickly got my hands on my very first talkbox, but still couldn't find the sound I was looking for. I started to doubt that talkbox wasn't the only instrument they were using - there must be an effecter of some sort. 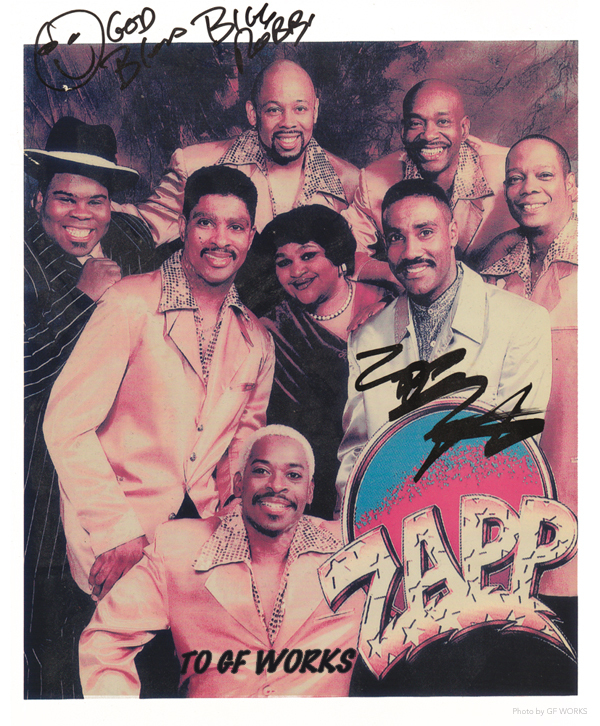 When I found out that ZAPP was going to be on a Japan tour, I packed my DAT and microphone in my bag wanting to find out what their big secret was. When Roger Troutman started playing through the mysterious black box, I heard his live sound which was exactly what I had imagined, but without using any kind of switches. 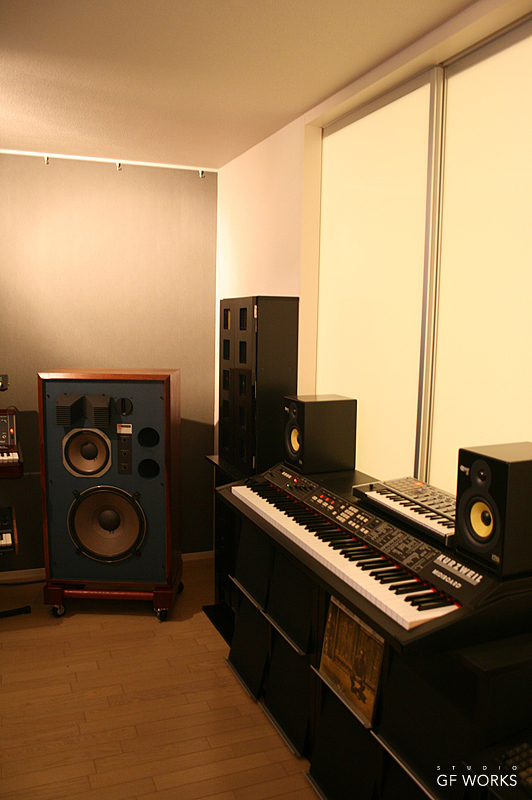 I looked over by the PA, thinking that must be where the effecter would be, but it didn't seem so either. This was the moment I discovered their sound was truly coming from the tube itself. Now that I was certain I had all the instruments needed to reproduce their sound, I played day after day, slowly getting closer to what I was looking for. However, I still couldn't work out the powerful high ends and the sharp punchy bass. The next Zapp tour was held at Club Quattro, which was very lucky for me. Since I had played there before, I was pretty familiar with the equipments and how things worked. I snuck around after the show for half an hour, where I was certain noone would see me, and waited for the staff to unload the gears. I remember vividly the shock I felt when they pulled out a DX100 from the black box. Back then, I had thought DX100s were synthesizers for beginners. The late 80s was a digital synthesizer age, where anyone could move their fingers to a switch and gain rich, glamorous tones. It didn't occur to me that straight synth lead sound was what I needed. If monophonic synthesizers like the Minimoog were the only instruments around back then, I probably wouldn't have had to go though this much trouble. 1998 was when I started working on an unpublicized website to archive my band information and live information. Almost simultaneously, I put together a production unit between few friends of mine that handled everything from design to music. This is the grass roots of what you see right now. I found out about Roger's death at a CD store during my visit in California. I went on the internet to seek more details about his death, and was shocked by how much wrong and misleading information there was on the website about talkboxes. 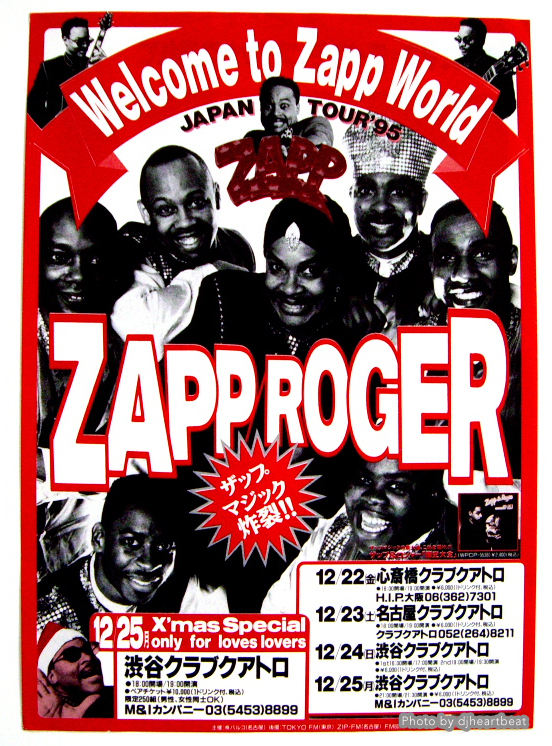 Years and months after that incident, I went back on the internet to find out details about the new ZAPP tour in Japan. There again, I ran into bulletin boards with questions without answers and even more talkbox websites that posted ridiculous, bizarre information. I remembered my experience finding out the how-tos of the talkboxes and felt how much frustration these people must be going through. 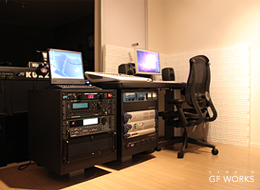 That is how the GF WORKS domain and website was finally published in 2007 to aid those with questions that haven't been answered. Once I published the site, I received numerous support and questions from all over the world. One of the many queries was how the tube and the driver were connected when building custom talkboxes. I encountered the same challenge when I was making one of my own, but luckily discovered that the Golden Throat's tubeholder was replaceable and was a perfect fit. This was great, only because I already owned the Golden Throat, but not everyone has one, and this is why I decided to replicate the tubeholder and distribute it as Tubeholder by the supervision of GF WORKS. Recent requests to the site have included the distribution of Electro Voice 1823M, which is found overseas, but not so much in Japan. Also, many of these second hand 1823Ms have been used as PA equipments, and consequently have damaged diaphragms. My background involves many years working for distributors for audio instruments and digital recorders, and so I have had experience with simple engineering techniques and work with engineers who specializes in these areas. I also understand that not everyone have access to these knowledge and is why I decided to put together the 1823M Complete Bundle. These products have reached few hundred customers around the world and I receive mails of gratitude and thanks from people who were freshly introduced to talkboxes, started learning, or got further knowledge from the website, everyday – the fuel of what made the website that started out just as an archive tool, to reach its stage now and continue growing.